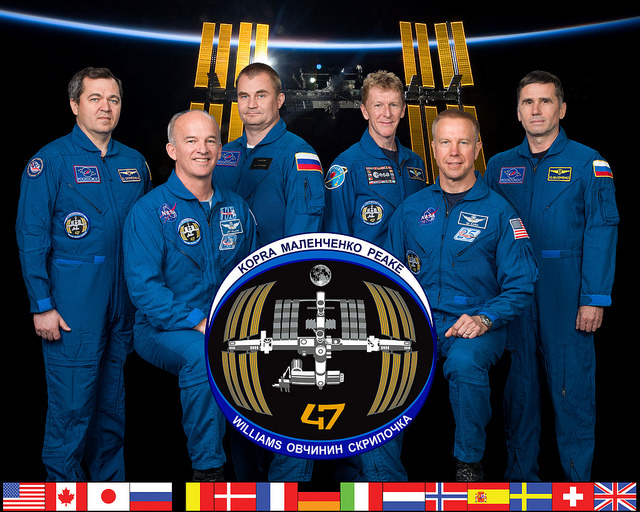 BEAM is set for a two-year stay at the International Space Station to test out the long-term behavior of expandable modules in the challenging space environment. 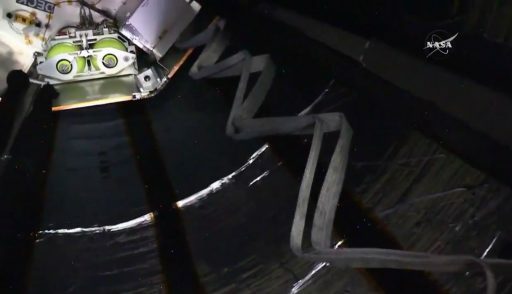 BEAM launched tucked into the Trunk Section of the SpX-8 Dragon on April 8 followed by a two-day link-up with the Space Station. Installation of BEAM on April 16 enlisted the help of the Station’s Canadarm2 which moved the module from Dragon over to the aft Common Berthing Mechanism of the Node 3 module. 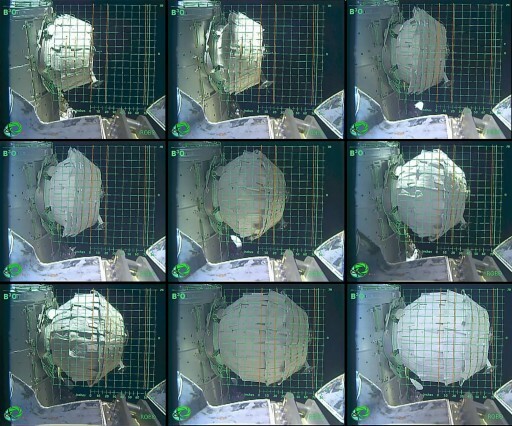 Expansion of the module was first attempted on May 26, but had to be stopped when pressure inside the module had climbed above the safe pressure curve without the expected expansion progress. Engineers suspected that the material of BEAM had built-up some internal friction and time was needed for the fabric layers to relax ahead of another deployment attempt. Jeff Williams and the team of Mission Control spent a trying afternoon on May 28, carefully controlling the volume of air introduced into BEAM to ensure a safe deployment. After eight hours of work, BEAM had finally expanded to its full size of 4 meters in length and 3.2 meters in diameter. The module was then pressurized from its internal air tanks and via pressure equalization from ISS. With BEAM finally taking shape, teams headed into an 80-hour leak check that confirmed BEAM was holding pressure without any issues. 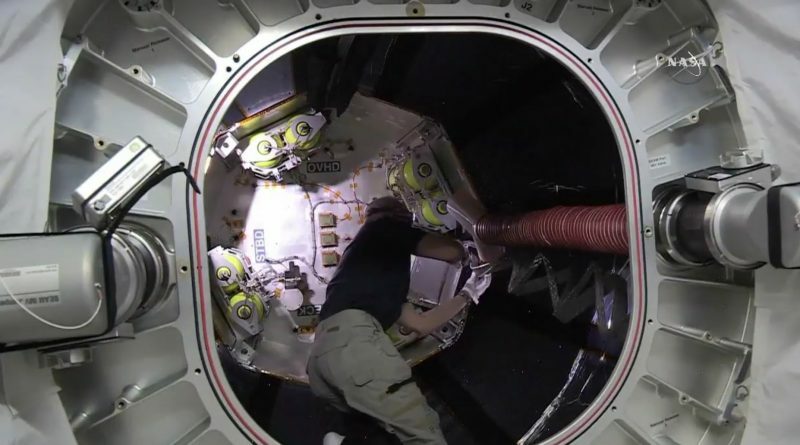 Over the last week, the crew in orbit worked to configure the vestibule between Node 3 and the BEAM module, putting in place Intermodule Ventilation Ducts that will permit air to circulate between BEAM and ISS even when the hatch is closed. 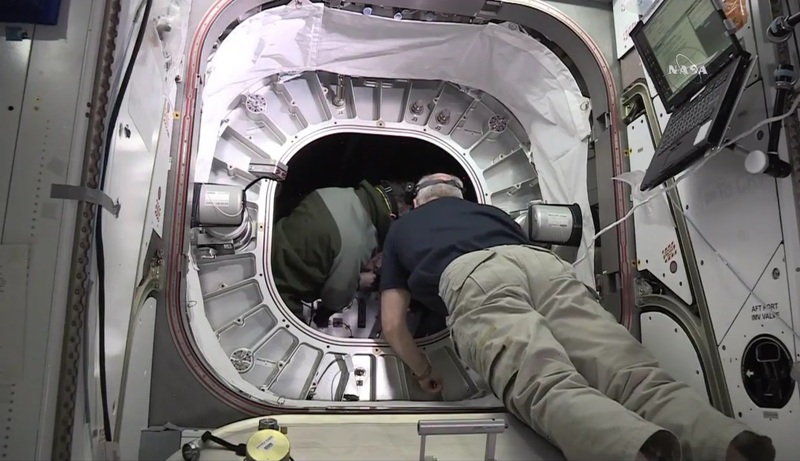 A depressurization of the vestibule was completed to verify tightness on the ducts. 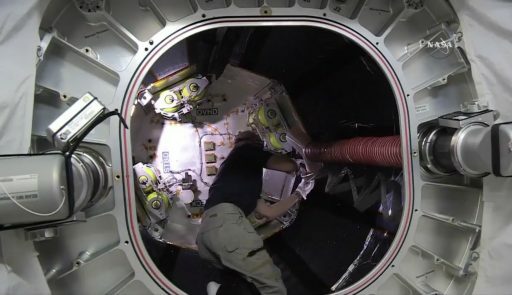 On Monday, Jeff Williams donned protective goggles and a mask ahead of opening up the hatch to the BEAM module by releasing four bolts. Williams reported a release of air, indicating the pressure inside BEAM was slightly higher than the Station’s internal pressure. Hatch opening was marked at 8:47 UTC and Jeff Williams entered the module for an inspection. 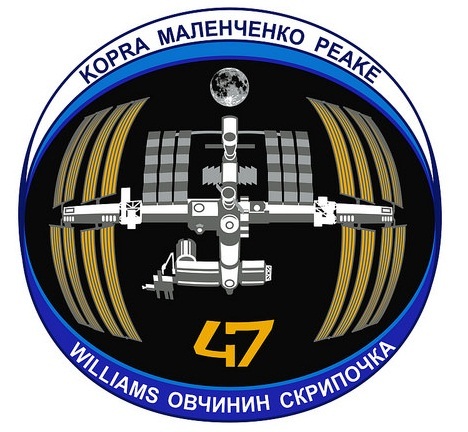 Oleg Skripochka assisted Williams during the initial air sampling that confirmed no toxic compounds were present inside the module. More samples were collected and Williams conducted a visual inspection, reporting that BEAM was in pristine condition, though temperatures inside were on the cold side. Williams then began downloading data from sensors that measured the dynamics of BEAM’s expansion process. The crew will ingress BEAM again on Tuesday and Wednesday to put in place sensors and equipment for the module’s two-year test run. Instrumentation on the BEAM module includes pressure and temperature sensors, impact sensors and radiation dosimeters to track the behavior of the module over its two-year stay at ISS. Measuring radiation inside the module is an important aspect for future human habitation of expandable modules that are expected to provide better protection from radiation than metal modules due to the radiation absorbing characteristics of the polymer shell material. Micrometeoroid impact protection offered by expandable modules is equivalent or even better than rigid metal modules. Crews will ingress BEAM up to seven times per year to retrieve sensor data and inspect the module’s condition. The BEAM mission aims to provide engineers with lessons learned ahead of deploying larger habitat modules to space. 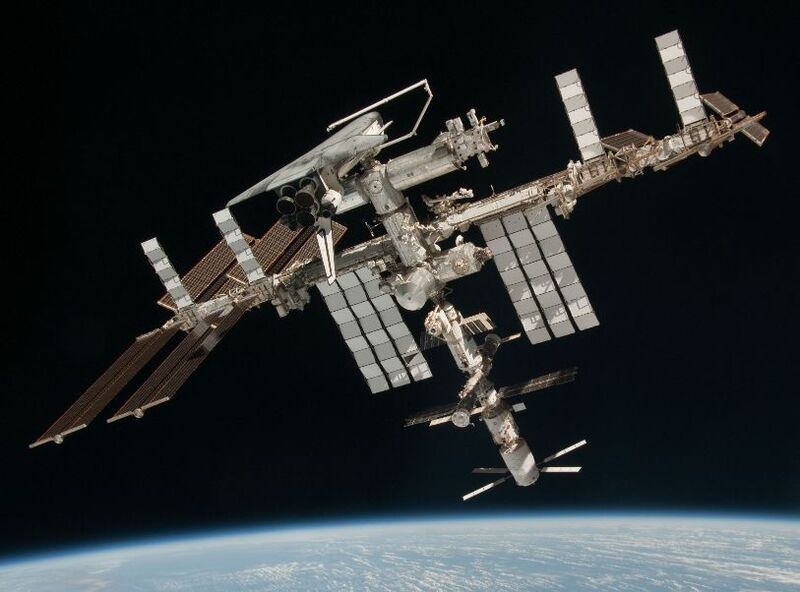 Expandable module technology will likely play a significant role in the exploration of distant targets and the opportunity of exploiting ISS in the Low Earth Orbit environment as a testbed will lead to a reduction of risk for the first operational deployment of expandable habs. 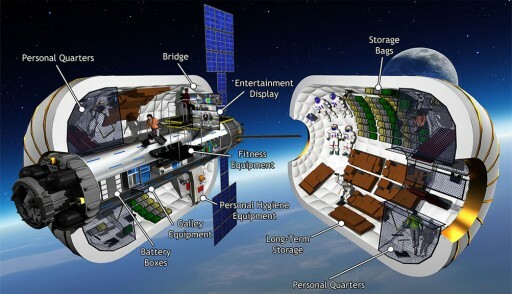 BEAM will provide useful experience in the operation of expandable habitat technology in a human spaceflight environment before deploying stand-alone expandable habitats or space stations purely based on the technology.